Dandelion, a weed that pervades most lawns and gardens, is actually one of the best treatments for liver disorders. This herb stimulates bile production, which encourages proper detoxification. Dandelion has shown to eliminate jaundice and rapidly decrease liver damage. It also nullifies side-effects of prescription drugs by acting as a mild stimulant and diuretic; Dandelion not only creates bile, but also facilitates urinary function, accelerating the body’s elimination process. Containing high quantities of A, C, D, B-complex Vitamins, Dandelion supports the immune system. It also consists of iron, magnesium, zinc, potassium, manganese, choline, calcium and boron, which combine to protect against illness and expedite healing. Due to Dandelion’s potency, effectiveness, reliability, and availability, it is widely used in both traditional and alternative medicines. It is not poisonous even in high amounts, and thus can be taken consistently. Green apatite possesses a multitude of spiritual properties, which work in sequence; First, this stone rids the user of apathy, negativity, and uncertainty, allowing clouded thinking to dissipate. Once limiting emotions are cleared from the mind, Green Apatite stimulates the quest for knowledge and truth by sharpening the intellect and enhancing creativity. This stone also encapsulates both personal power and collective growth. The user must choose whether to focus solely on inner work, or to harness the humanitarian nature of the stone. Green Apatite promotes service to others through connection between the heart and the mind, and facilitates intellectual and emotional equilibrium. It is a Manifestation stone, used for matters pertaining to the future, and often conjures personal, spiritual, and financial abundance. Composed of phosphate, which is the same material that makes up the teeth and bones of vertebrate animals, Green Apatite is especially tailored toward connection with wildlife. Those working with this stone can expect improved mental clarity, sociability, and connection with both the self and others. Crystal Spiritual Meanings A to Z. F for Fire Agate!! #FireAgate encourages #passion and #compassion in both matters of #love and business, through #reconnection to one’s true #desires. Creating high standards of #integrity, they demand righteous behavior of self, and also of those in close proximity. They are intensely #grounding and #empowering, despite vibrating at a slower frequency than comparable stones. Historically, Fire Agates are known to contain the essence of #fire; #Stabilizing the #root and #lowerchakras, while they stimulate the senses of #creativity, #sexuality, and #will. They redirect focus toward the greater purpose in life, while rekindling the joy found in everyday pleasures. Particularly adept at reigniting sexual passion, this stone increases both stamina and #circulation, perfect for those dealing with sexual imbalance. Fire Agates are stones of action, and inspire guidance during times of confusion, once deeper desires are unearthed. They aid in overcoming artistic blocks, improving #selfconfidence and composure. The #protective qualities of the stone are both literal and metaphorical: Fire Agates can effectively safeguard both physical places and rogue thinking; Users can expect to eliminate longing for unneeded possessions and excess. Fire Agates are especially helpful for those suffering from #depression, #lethargy, #disempowerment, and poor #circulation. Wearing a Fire Agate pendant near the chest stimulates the #cardiac area; This physically strengthens nearby muscles and enables #emotionalhealing. 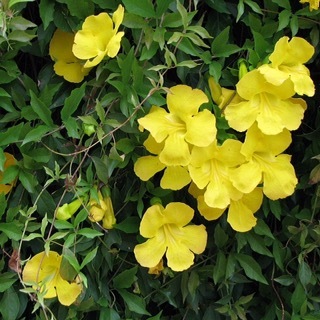 Cat’s Claw, a vine native to Peru, is a potent antibacterial/antiviral used for treating digestive ailments. It is an equally effective, and less dangerous, alternative to traditional antibiotics. Una de Gato facilitates the healing of wounds, prevents cancer, and (perhaps most notably) combats stomach complaints of all kinds, including digestive discomfort, Crohn’s, Colitis, IBS, allergies, and stomach cancer. This herb cleanses the intestines, promoting detoxification of harmful microbes. It also soothes the digestive system, encouraging cellular regeneration. Cat’s Claw’s high content of glycosides, proanthocyanidins, and beta sitosterol create antiviral, antimicrobial, and anti-inflammatory effects. It is helpful against arthritis, autoimmune disease, parasitic infection, and Candida. Note: Cat’s Claw doesn’t taste great, so the Lavender and Rooibos disguise it a bit. Sugar is dangerous, but adding a bit of Unsweetened Almond/Coconut/Hemp milk would help drastically! #Emerald, associated with the #HeartChakra, brings #prosperity. It’s particularly appropriate for spiritual work, as it aids in successful #manifestation. Emerald sharpens #intuition and rids the mind of any barriers preventing #spiritualprogression. It inspires #precognition in the form of #dreams and #foresight; This stone facilitates mental and emotional #clarity. Emerald is an effective #healer; Throughout time, this stone has been used to soothe both physical and emotional pain. Emerald is the perfect companion for those overcoming abusive relationships. It inspires both #romance and #divine #connection. Its vibrant #green comes from trace amounts of #Chromium. It’s mined all over the world, but most notably comes from Colombia, Brazil, Africa, India, and Pakistan. It is grown beside calcite, pyrite and mica, so inclusions of these can occur! 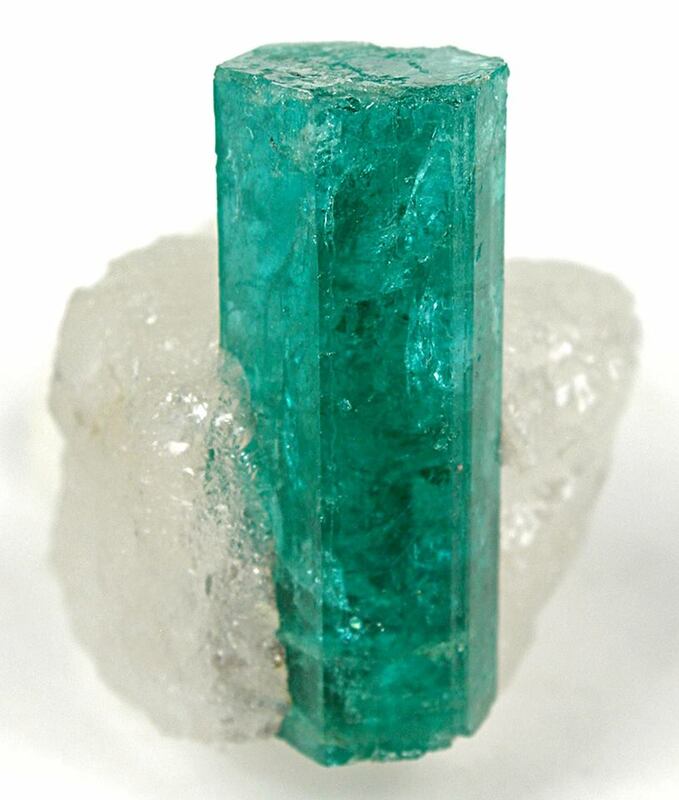 Emerald is found in various densities, from barrel-like (as in the photo) to cloudy and dark. #Dioptase, coveted for its intense green color, is a stone of emotional #healing. It allows the user to identify, overcome, and #release mental blockages. 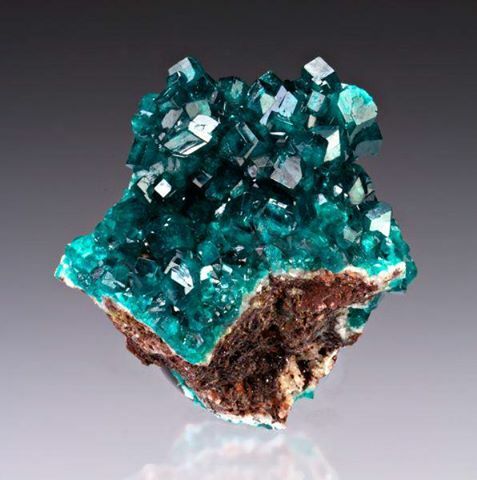 Dioptase encourages progression beyond the past, leaving negative experiences behind; it conjures #gratitude for the present moment, enabling #transformation. Associated with the #HeartChakra, Dioptase provides a loving, comforting energy which opens up the user to be healed. Working with Dioptase inspires self-confidence and #innerpeace. #Bilberry, an herb historically used in Europe for its #medicinal properties, is extremely diverse. It is considered one of the best remedies for improving #vision! Full of anthocyanocides (potent #antioxidants), Bilberry helps the body regulate cholesterol, strengthens blood vessels, supports #collagen, aids red blood cell function, prevents cancer growth, and lowers blood sugar. It boosts the #immunesystem, and encourages #detoxification; Bilberry #tea is a traditional remedy for #sorethroats and #colds. 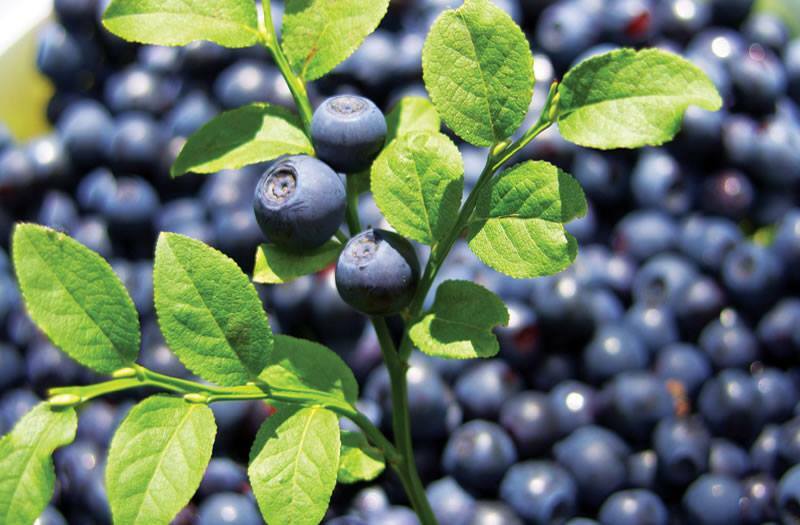 Bilberry fortifies capillary walls throughout the body; Due to the number of capillaries in the eyes, Bilberry has an overwhelmingly positive impact on #eyesight. It is one of the most popular and effective herbal treatments for vision impairment. Blue Kyanite ensures safe arrival at an intended destination, making it great for travelers. It is a stone of visualization, and its protective energy translates to both altered states of consciousness and dreams. Blue Kyanite banishes uncertainty and confusion, replacing them with calm and truthfulness. As it does not absorb negativity from its environment, Blue Kyanite never requires energetic cleansing; It aligns the Chakra System and aids in Meditative work. 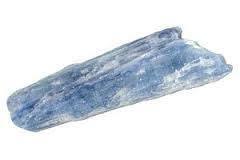 Associated with the Throat Chakra, Blue Kyanite encourages affective communication/self-expression. #Ashwaganda root, also called Winter Cherry, is an herb native to India, traditionally used in #Ayurvedic medicine. It can be prepared as a #tea or taken as a supplement. (herbs which energize the body, boost immunity, and increase fertility), but Ashwaganda also promotes relaxation of the mind and muscles. It is used as a supplement to combat stress and inspire restful sleep; Ashwaganda is a common remedy for #Insomnia and #Anxiety, and allegedly prevents cancer growth. Due to its positive affects on both the endocrine and immune systems, Ashwaganda helps to regulate #hormones in both men and women.